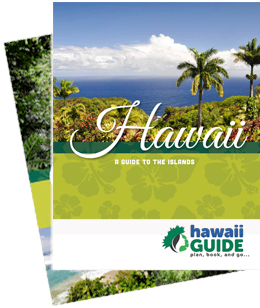 Our top things to do in Lahaina will help you as you are planning out your itinerary for the beautiful island of Maui. You’ll likely be one of the more than two million people who visit Lahaina annually. And if you’re wondering why so many people flock to this amazing place, the answer lies in the town’s attractions- they are simply some of the best on the entire island. Lahaina was once the capital of the Kingdom of Hawaii and the heart of the whaling industry worldwide. Later, in the 1830’s, it served as a fort to defend the town. Today, whaling ships have been replaced by pleasure boats and the fort’s huge walls and original cannons can still be visited. Specifically, Ka’anapali Beach and Napili Beach. Ka’anapali Beach is one of the most (if not ‘the most’) popular beaches on Maui, boasting over three paradisiacal miles of pristine white sand and deep blue water. Enjoy practically every beach/water-related sport under the sun here: windsurfing, stand-up paddleboarding, snorkeling, surfing- you name it. Hotels, spas, restaurants, and shops are plentiful here, as well, to help make your visit more comfortable. There’s a reason Ka’anapali Beach often lands on many a ‘Best Beaches’ list. Napili Beach- If you’re looking for a more laid-back, yet equally unforgettable experience, Napili Beach is for you. This crescent-shaped cove is a great place to snorkel amongst a wide variety of reef fish and Hawaiian sea turtles. Swimming is also hugely popular, as the waves here are calmer than at other beaches on the island; making this a great option for the littler swimmers in the family. Of course, lounging seaside and enjoying the sunset should also be on your to do list here. Frankly, the list of options for our number two slot are seemingly endless. Head out on a snorkeling adventure, enjoy a relaxing sunset cocktail cruise, paddle a stand up paddle board, soar along an exciting zipline, explore the deep in a submarine, watch the dolphins or majestic humpback whales, catch the fish of a lifetime... there’s something every adventure lover. This 1.76-mile hiking trail (one way) runs along the ocean’s edge from Kapalua Bay Beach to Oneola Beach and ends at D.T. Fleming Beach Park. Describing the views along the way is a tough one- suffice it to say they are breathtaking. The black lava rock, gorgeous tropical plants, and white sand beaches soon direct your gaze out into the azure Pacific waters; it’s a trail you’ll never forget. Expect a leisurely hike if you are in average condition, but watch the uneven terrain on the rocky areas. Be sure to check out the Dragon’s Teeth, a group vertical jagged rock formations that resemble the teeth of a massive jaw. The pride of Lahaina Town, this street has been named one of the ‘Top Ten Greatest Streets” by the American Planning Association. In the 1800’s rowdy whalers occupied the town and front street was home to many of their raucous taverns. Today, you’ll find restaurants, bars, T-shirt shops, jewelry stores, art galleries, great people watching, and a fun, upbeat vibe. Lahaina is also on the National Register of Historic Places; you’ll want to see the U.S. Seamen’s Hospital, Historic Lahaina Prison, the Pioneer Inn (the oldest hotel in Hawaii), Wo Hing Temple, Old Courthouse, and more. We suggest you take the self-guided Lahaina Historic Walking Tour so you don’t miss any of the sights of historical and cultural significance. No trip to Lahaina would be complete without a stop at the massive Banyan tree. The little seeding was a gift from missionaries in India and was planted on April 24, 1873 in observation of the 50th anniversary of the first American Protestant Mission in the town. Today the incredible tree stands nearly 60 feet tall, covers nearly 200 feet, and is the largest banyan tree in Hawaii. It’s certainly a must-see. Halloween- Yes, you read that right. Halloween is perhaps the most celebrated holiday on Maui, and Lahaina closes Front Street and hosts anywhere from 20,000-30,000 people at this spooky celebration dubbed the ‘Mardi Gras of the Pacific’. The celebration begins with a costume parade followed by the Mardi Gras-esque party. If you’d rather not join the parade, pull up a seat at a waterfront bar and vote for your favorite costumes by throwing some beads. By land, by sea, or by zipline, this bustling waterfront town combines history with tourism and a helping of eclectic on top to create the perfect Maui adventure.